Zij hebben niet alleen uitgebreid opgetreden in Groot Groot-Brittannië maar ook in de rest van Europa en het Midden-Oosten hebben zij veel òpgetreden. 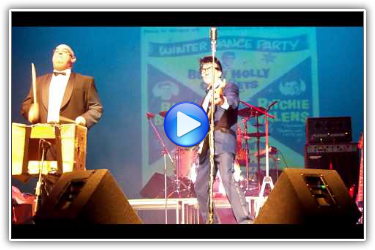 Marc Robinson has been widely acclaimed as the Buddy Holly tribute artiste. 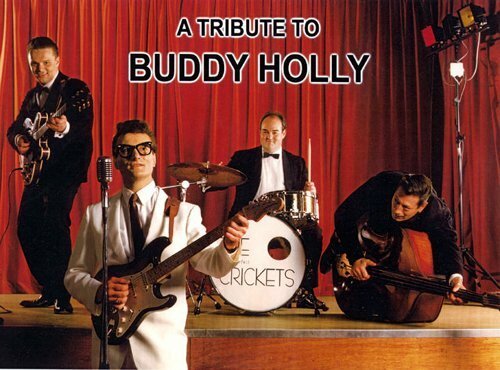 As a solo and together with his band, The Counterfeit Crickets, he has toured extensively at home and abroad. Marc is a leading artist from T.Vs Stars In Their Eyes and has taken the lead role as Buddy in the West End musical Buddy - The Buddy Holly Story. Marc has performed for Sir Cliff Richard at his birthday party and has many TV appearances to his credit. As a performer bringing the essence of Buddy to life, Marc is second to none. He is a lifelong fan of Buddy, which is evident in his attention to detail, from the heavy rimmed glasses to the Fender Strat. Recently Marc has been touring with the hit West End show "Rockin On Heavens Door". 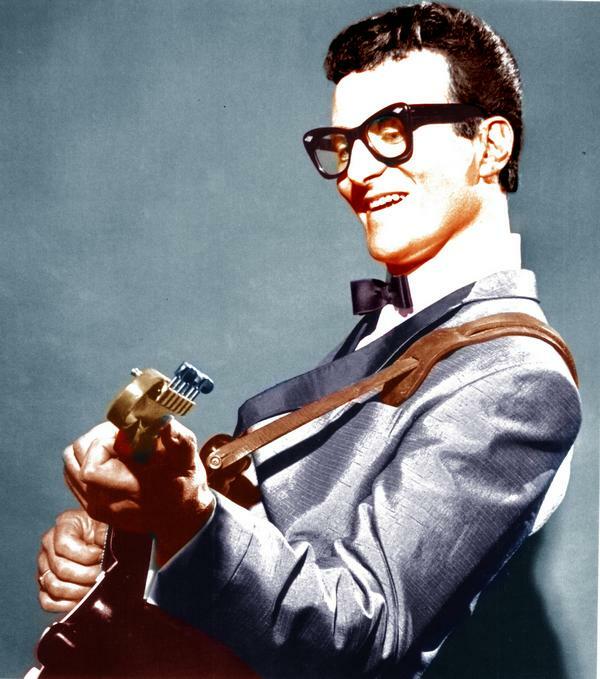 Marc has been widely acclaimed as the Buddy Holly tribute artiste. Marc is a leading artist from T.Vs Stars In Their Eyes and has taken the lead role as Buddy in the West End musical Buddy - The Buddy Holly Story. Marc has performed for Sir Cliff Richard at his birthday party and has many TV appearances to his credit. As a performer bringing the essence of Buddy to life, Marc is second to none. He is a lifelong fan of Buddy, which is evident in his attention to detail, from the heavy rimmed glasses to the Fender Strat. Recently Marc has been touring with the hit West End show "Rockin On Heavens Door".